Contrary to popular belief, you dona��t have to be an athlete to run a marathon. What you need is a game plan as it requires the right fitness levels, nutrition and a lot of motivation. With the Chennai Wipro Marathon week in December,A� we bring you the ultimate seven-week marathon plan for beginners. Celebrity fitness trainer, Thomas Brittos, with clients like Bipasha Basu, charts the ideal schedule. Another incentive? Therea��s a Dawn to Dusk marathon as well, on January 5, 2014, at the IIT Chennai. Week 1: According to Brittos, beginners should start their first week training with a three-mile steady walk. Try hill running to improve the capacity of your muscles. The plan is designed to get you to the point where you can run thirty minutes (about 2 miles) at a slow, relaxed pace. Ita��s a simple, progressive programme that begins with more walking than running, and gradually evolves into more running than walking. Each weeka��s plan also includes a motivational quote and a training tip. a�?Always train in a group of four or five to keep yourself motivated. If you want to do slightly more each day, please do, but dona��t increase your weekly mileage by more than 10 per cent of the training. Run two or three times a week and remember to rest in between,a�?says Brittos. Week 2: Towards the second week, improve the capacity, incorporate stretches and pilates. a�?Running your first marathon slower than the second half (called a negative split) is the key to running a smart and enjoyable marathon. Take it slow. Your body will thank you during the second half of your marathon,a�? says Neville J Bilimoria, Immigration consultant and Ultra runner. Week 3-7: Stretch your run to another mile or two. Opt for 20 minutes of jogging. a�?Once you have reached this level of fitness, ita��s relatively easy to do more. You simply have to budget the time, and be patient and disciplined in your training. It is important not to forget the recovery period and not strain your muscles to the optimum level,a�? says Brittos. Mumbai-based celebrity trainer Deanne Pandey has a few tips about running right: a�?You should practise outside, not on the treadmill. Ita��s important to monitor your environment and weather conditions. While running, dona��t lift your legs too high.That amounts to wasting your energy,a�? she says. Before attempting to run for the big marathon, consult a nutritionist for the right diet. a�?You need to gradually cut down the carbohydrate level by 10 per cent a week and step up the protein level by 10 per cent from the first week,a�? says Dr Kousalya, lifetsyle management consultant, NOVA Speciality clinic. Monitor the water content and electrolyte balance (important salts that gets eliminated through sweating) as it is important to keep yourself hydrated. Stabilise the requirement of electrolytes in the form of lemon juice with salt and sugar/lemon, cucumber and mint cooler, tender coconut water or panagam. Instead of going for large meals, break your portions into six meals a day, depending on the individuala��s metabolism. Says Dr Kousalya, a�?Maintain a healthy diet laced with proteins, carbs and fats.a�? 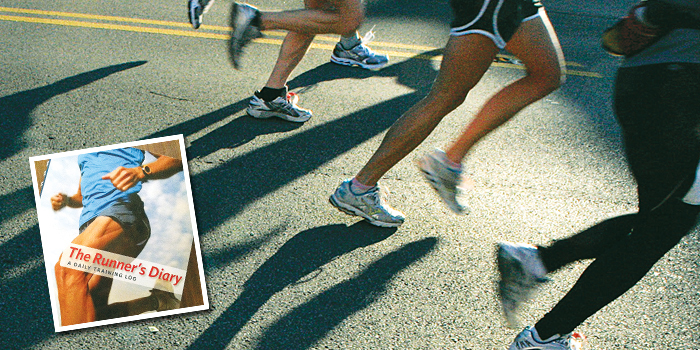 Run your own marathon: Dona��t be worried if you see a lot of people passing you. Remember the tortoise and the hare? They may be starting out way too fast, so youa��ll catch them later, at your own pace. Dona��t get too emotional: Ita��s tempting to start high-fiving spectators and jumping up and down when you pass family members and friends. Youa��ll have the energy to do that during the first few miles, but try to stay as calm as possible. Youa��ll need to conserve your mental energy for the rest of the marathon. Stay mentally tough: Your mental toughness will be tested during these miles. Dona��t give into periods of self-doubt and discomfort. Think about how hard you have worked and how rewarding it will be to complete your marathon. Beat boredom: Herea��s when you really get to use all those boredom-battling tricks you tried out during your long runs. Do whatever it takes to keep your mind occupied: Sing songs, play mental games, count people, talk to other runners. I signed up for the Chennai half marathon in 2010 and was the oldest woman running. My biggest fear has always been not to come last. Running that distance and for that length of time is about mental discipline and physical fitness. You have to run past the pain and through the acute loneliness. There is just you, an open road, your iPod and an aching bodya��a�� a�� Gita Mathai, 61.
a�?a�?I have always struggled with running so it was quite an experience at the Wipro marathon (10km).A� The whole atmosphere at the marathon was electrifying and addictive a��a�� a�� Amritha Ahuja-Bhalla, Wipro Marathona��s poster girl.